You are here: Home / General Information / Animals Today Sept 22, 2018. Reflections on the private ownership of wild animals. All you need to know about rabies. A new life for former research chimpanzees. Iguanas, red pandas and detection dogs. Animals Today Sept 22, 2018. Reflections on the private ownership of wild animals. All you need to know about rabies. A new life for former research chimpanzees. Iguanas, red pandas and detection dogs. Private ownership of wild animals like big cats, monkeys and bears typically leads to a life of neglect and cruelty for the animals, as well as presenting risks to the owners and the community. Fortunately, the practice is decreasing, but there remains far too many bad situations around the country. Lori beings the show reflecting on her personal childhood experiences with her friends’ pet bobcat, which of course she now advises to avoid. For those who wish to see wild animals and help improve their lives, visit and support accredited sanctuaries instead. Then, it’s World Rabies Day, Dr. Robert Reed joins Lori and tells us about the nature of the virus and disease, and the current risks to people, dogs and cats in the US. Fortunately, thanks to the widespread use of vaccines, rabies cases are rare. Dr. Reed is Medical Director, VCA Rancho Mirage Animal Hospital. Attorney Bruce Wagman from Project Chimps then joins Peter with news about a better life in store for the former research chimpanzees from New Iberia Research Center. 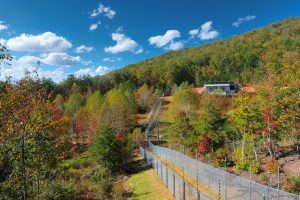 Project Chimps, in Blue Ridge Georgia, is currently being built out to be the new sanctuary home for all of the animals (at least 230 chimps), to live out the rest of their lives in as natural a setting as possible. Construction of this ambitious project is moving swiftly and relocation of the chimps is ongoing. Bruce Wagman, President of Project Chimps, has practiced animal law since 1992, working in a wide range of animal law matters including litigation, education, legislative counseling and consultation. 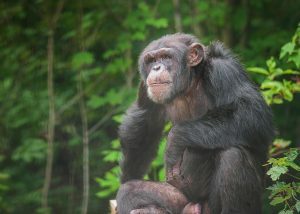 Hercules at Project Chimps. Photo Crystal Alba and Project Chimps. We conclude with interesting facts about Iguanas, red pandas and incredible talents of explosive-sniffing dogs. And, we reviewed the LickiMat from Hyper Pet. 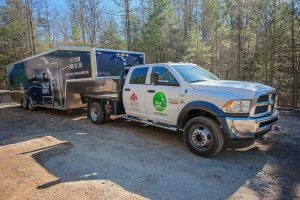 Project Chimps Peachtree Habitat. Photo: Crystal Alba and Project Chimps. 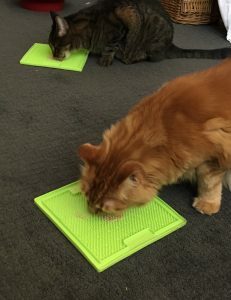 Elton and Ringo enjoying a snack from their LickiMats by Hyper Pet.